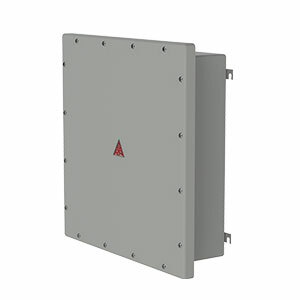 Designed for protection with selective NEMA ratings and IP ratings certified to BS EN 60529. Manufactured with weatherproof materials with certified self extinguishing fire retardancy and anti-static external gelcoat finish. Product ranges from single door to multi door, metering cabinets, specialized enclosures for system integrations, and utility specific enclosures. 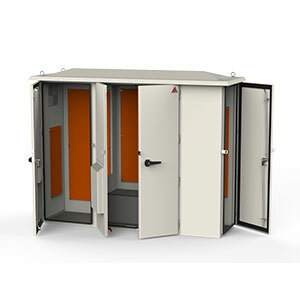 Modular construction with the design flexibility to vary access doors, height, width and depth. 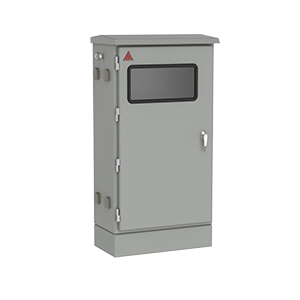 Utilized in outdoor application of HV/LV and MV/LV distribution systems; the product ranges from substation kiosks, IP55 kiosks, shelters and capacitor banks kiosks. Manufactured in fire retardant grp material with corrosion resistant hardware. Purpose-built for off-grid and battery backup systems in any size based on the number of batteries and their size. Manufactured for outdoor protection offering certified NEMA and IP ratings with fire retardant weatherproof grp material. 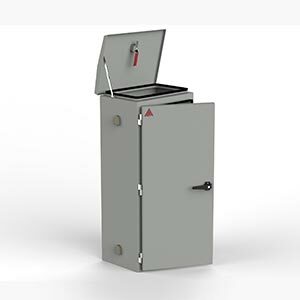 Top-lid design with detachable or hinged option, along with options in ventilation, racking and acid drainage. Product range includes instrument sunshades and enclosures designed to shield single or multiple instruments. Mechanical protection with certified impact resistance against falling objects and offering UV protection. Manufactured in weatherproof grp material with anti-static properties along with corrosion resistant hardware. 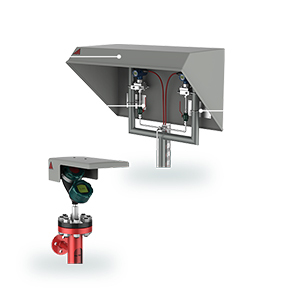 Mounts to a standard 2” pipe stand or options with several types of mounting arrangement kits. Designed to accommodate fire hose reels, extinguishers, fire fighting equipment and breaching inlet in UV resistant recognizable colors and labeling. Manufactured in UL certified fire retardant grp material with accessibility and viewing window options. Product range includes soaker panels, single or multi-skin skylight sheets, gutters, and downspouts. Designed to offer features such as sealing, passage of natural light with thermal insulation, and fluid drainage. Manufactured to match contractors’ custom roof profiles in weatherproof grp material. Specialized products to meet the technical specification set by the various Utility authorities in the UAE and Oman. Manufactured with weatherproof materials with certified self-extinguishing fire retardancy and anti-static external gelcoat finish. IP ratings and designs are specifically as per the standards laid down by the Authorities. Capability to modify any product category in any color, shape or form with additional features; or design and manufacture new products from scratch. Dedicated design team equipped with 3D modeling and stress analysis tools works with our inhouse molding and metal fabrication department to manufacture client customizations.